Iaidō (居合道) is a Japanese martial art associated with the smooth, controlled movements of drawing the sword from its scabbard, striking or cutting an opponent, removing blood from the blade, and then replacing the sword in the scabbard. While new students of iaidō may start learning with a wooden sword (bokken) depending on the teaching style of a particular instructor, many of those who study iaidō use an unsharpened sword (iaitō). Advanced practitioners of iaidō use a sharpened metal sword (shinken). Because iaidō teaches the use of actual metal weaponry, it is almost entirely based on the teaching of forms, or kata. 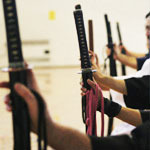 Multiple person kata do exist within some forms of iaido, but the iaidōka (practitioners of iaidō) will usually use bokken for such kata practice. Iaidō does not include direct competition or sparring of any kind. Because of this non-competitve aspect, and iaidō's emphasis on precise, controlled, fluid motion, it is sometimes referred to as "moving Zen." Iaidō in North America is often taught in dojo that also teach Aikido or Kendo. "Nothing remains intact once it comes in contact with a Samurai Sword..., In the hands of a master a Samurai Sword can be an execution warrant for an oponent..."
Kendo teaching does not include drawing and re-sheathing of a sword. The main weapon used in kendo, a flexible bamboo sword (shinai), uses no scabbard.  Kendo is practiced with a partner in full contact training or in forms (kata) practice. Kenjutsu is generally practiced with a partner, in the form of predetermined routines, and often does include drawing or resheathing of the sword. Iaidō is often used interchangeably with Battōjutsu, literally meaning "technique of drawing the sword". Battōjutsu is the historical (ca. 15th century) term encompassing both the practice of drawing the sword and cutting (tameshigiri). The term iaijutsu (居合術) became prevalent later (ca. 17th century), and the current term iaidō is due to the general trend (stemming from gendai budō) to replace the suffix -jutsu with -dō in Japanese martial arts in order to emphasize a philosophical or spiritual component. In contemporary usage, battōjutsu focuses on the techniques of cutting, with individual practice that starts with the sword in the sheath. Iaidō forms (kata) are performed individually against one or more imaginary opponents. 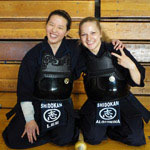 Some traditional iaido schools, however, include kata performed in pairs. 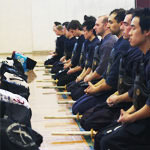 Some styles and schools also do not practice tameshigiri, cutting techniques.The primary emphasis in iaido is on the psychological state of being present (居). The secondary emphasis is on drawing the sword and responding to the sudden attack as quickly as possible (合). Starting positions can be from combative postures or from everyday sitting or standing positions. The ability to react quickly from different starting positions was considered essential for a samurai (侍). A very important part of iaido, is nukitsuke or the life of iai. This is a very quick draw accomplished by drawing the sword out of the saya by moving the saya back in saya biki. The blade may be brought out of the saya and used in a quick nukitsuke slashing motion. 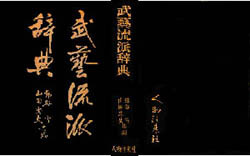 The Tenshin Shōden Katori Shintō-ryū (天真正伝香取神道流) included iaijutsu in its curriculum in the 15th century. The first schools dedicated exclusively to sword drawing appeared some time during the late 16th or early 17th century. Hayashizaki Jinsuke Minamoto no Shigenobu (林崎甚助重信) (1546–1621) is generally credited with as being the originator of the first dedicated school of sword drawing. Little is known of his life, leading some scholars to doubt his historical existence as a real person. The two largest schools of sword drawing that are practised today are the Musō Shinden-ryū (夢想神伝流) and Musō Jikiden Eishin-ryū (無雙直傳英信流). Both schools trace their lineage to Hayashizaki Jinsuke Shigenobu. Seitei Iaido (制定) or Zen Nippon Kendo Renmei Iaido is the iaido style of the All Japan Kendo Federation (AJKF, Zen Nippon Kendo Renmei or ZNKR). The twelve Seitei iaido forms (seitei-gata) are now standardised for the tuition, promotion and propagation of iaido within the kendo federations. 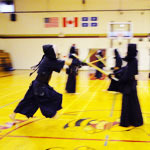 Although not all dojo teach seitei iaido, the AJKF uses them as a standard for their exams and shiai. As a result, seitei iaido has become the most widely recognised form of iaido in Japan and the rest of the world. The All Japan Iaidō Federation (ZNIR, Zen Nihon Iaidō Renmei, founded 1948) has a set of five iaidō forms, Tōhō Iaidō. This is essentially the ZNIR equivalent of the Seitei Iaidō set. These five forms are from the five different major iaidō schools. Although there are a wide range of koryū or classical iaido (or iaijutsu) styles practiced in Japan, the two most popular classical styles of iaido practiced worldwide are Musō Jikiden Eishin-ryū and Musō Shinden-ryū. They resemble each other quite strongly because they branched off from one style sometime in the 18th century, under Ōguro Motoemon Kiyokatsu sensei. After Ōguro, there came into being two branches that were formed on philosophical differences between two students of Ōguro: The Shimomura-ha and Tanimura-ha (branches), the former being headed by Matsuyoshi Teisuke Hisanari and the latter by Hayashi Masu no Jō Masanari, who became the 12th sōke. These two branches would co-exist for many years until Musō Jikiden Eishin-ryū officially came into being in the early 20th century through the initiative of Ōe Masamichi Shikei, the 17th headmaster of Musō Jikiden Eishin-ryū. Prior to his death in 1927, Ōe would bring together the Tanimura-ha, Hasegawa Eishin-ryū and the Ōmori-ryū to form what is today's Musō Jikiden Eishin-ryū. The Shimomura-ha held its own headmasters and philosophy for many years but would eventually fade away. 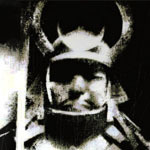 The last Shimomura-ha (claimed) headmaster, Nakayama Hakudō who is considered the 16th, created a new iai-art called Musō Shinden Battōjutsu that was heavily influenced by his Shimomura-ha training, but also took elements from other iai-arts. 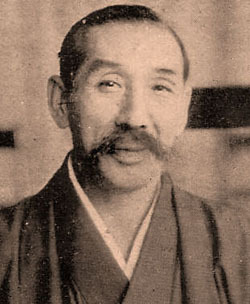 Nakayama Hakudō is not known to have taught the "pure" Shimomura-ha teachings in its complete form to any of his students and thus it can be argued that Shimomura-ha no longer exists as a separate entity, even though elements of it remain in what would later become the modern Musō Shinden-ryū. One of the differences between the two schools can be seen in the nōtō (sheathing the katana back into the saya). In Shinden, the entire nōtō is done on the horizontal plane, i.e. the flat of the blade parallel to the floor. In Musō Jikiden Eishin-ryū, the flat of the blade is is rotated from 45 degrees to perpendicular to the floor by the end of nōtō. 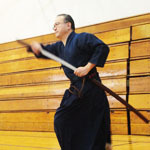 Another style of iaido is Mugai-ryū. Mugai-ryū was once one of the more famous styles in Japan in the Edo-jidai and was developed from a strong influence of Zen and is characterized by short, direct movements. Chiburi, for example, is performed with a much smaller movement than in other styles, and is not used at all in suwari waza [Goyo and Goka kata sets]. As it was developed in 1697 by Tsuji Gettan Sukemochi [or Sukeshige], a Zen practitioner, it has deep links with Zen Buddhism. The original style created by Gettan was a kenjutsu school rather than iai. Today's Mugai-ryu Iaido was established by Takahashi Hachisuke Mitsusuke and his younger brother Hidezu in mid Edo-period. They studied a style called Jikyo-ryu under the fifth and last generation headmasters Yamamura Masashige. In advanced waza, called Naiden and attributed to Gettan himself, the focus is on techniques that neutralize the sakki (killing mood) of the opponent. There are several distinct lineages of Mugai-ryū throughout Japan today. The last sōke of the main line was Nakagawa Shiryo Shinichi who did not appoint a successor upon his death in 1984. There have been several popular movies made featuring Mugai-ryū, including Kurosawa's last film project, Ame Agaru. In a similar vein, some may be familiar with Suiō-ryū from our friend Ogami Ittō who purportedly uses Siuō-ryū in the "Lone Wolf and Cub" series. There are several branches of Musō Jikiden Eishin-ryū (MJER) that are practised today. 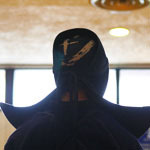 Different Iaido organisations generally recognise different people as their sōke. One person who is considered to be a sōke for (MJER Iaijutsu) is Miura Takeyuki Hidefusa, who holds a 9th Dan in MJER. The Great Japan Iaido Federation (Dai Nippon Iaido Renmei) recognises Ajisai Hirai (9th Dan Hanshi) as the 22nd sōke of MJER. There are several lines of transmission extant for Musō Shinden-ryū also. 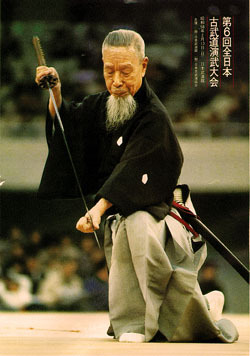 One of them claims Mitsuzuka Takeshi as the sōke, second one (those who are affiliated with Nippon Iaido Kyokai) regard Takada Gakudō as their head teacher. In the All Japan Kendo Federation (AJKF) or Zen Nippon Kendo Renmei (ZNKR), there are two lines representing the Musō school. In the All Japan Iaidō Federation (ZNIR) or Zen Niippon Iaidō Renmei, the 21st sōke (21st Grandmaster recognised by the ZNIR ) for Musō Jikiden Eishin-ryū was Fukui Torao, (deceased 2001). The ZNIR 22nd sōke is Ikeda Takashi Seikō, (10th Dan Hanshi). The last sōke for Musō Shinden-ryū was Nakayama Hakudō with no official successor. A newer style of iaijutsu is Toyama-ryū battōjutsu. This is a style originating in the late 19th century, and taught primarily to officers in the Second World War. It is different from the older styles primarily in that all techniques are performed from a standing position. 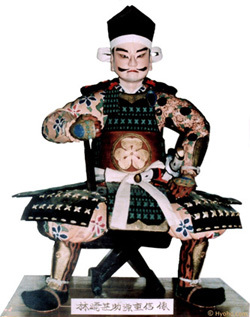 Toyama-ryū was in turn the basis of Nakamura-ryū, created by Nakamura Taizaburo; incorporating nōtō and kamae from older Koryū, notably Ōmori-ryū. 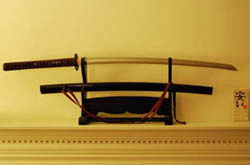 It has been a long time since any differing schools have competed using shinken (sharp blades); hence it cannot be said that the traditional schools are superior to the modern schools, or vice versa, in the ultimate test.